A first gesture states what becomes the fugue subject. 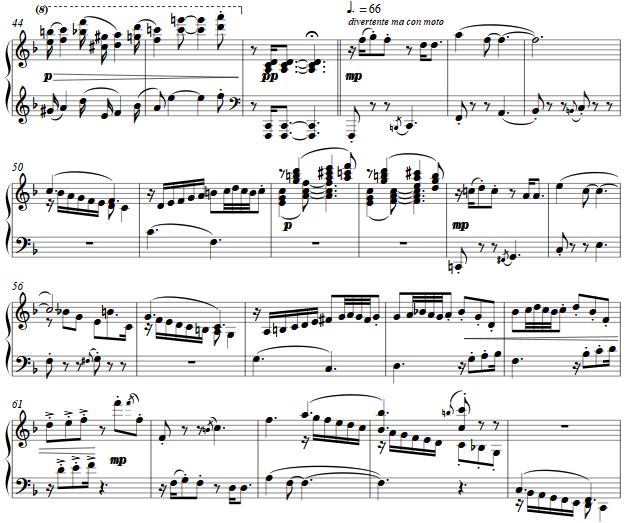 The lightly syncopated theme begins in droll earnest at measure 8. 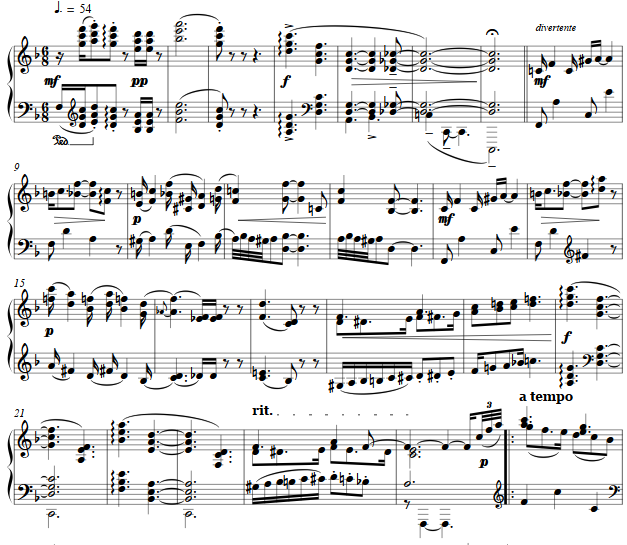 The fugue subject is accompanied throughout, and elements of the "drollery" figure into contrapuntal interludes along with polytonal colors.